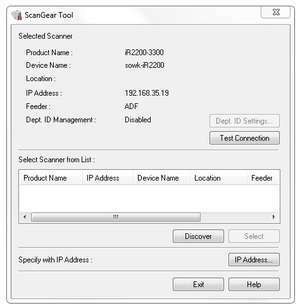 Canon Color Network ScanGear is a free tool by Samsung which will provide owners of several Canon scanners to share and configure their scanners over a local area network (LAN). The interface of Canon Color Network ScanGear is simple and using the program is a piece of cake. You can use the application to scan your network and select which scanner you would like to use. A list of available devices will be displayed. For security reasons, you should also check out the Canon Color Network ScanGear download at LO4D.com which includes virus and malware tests. Additional screenshots of this application download may be available, too.